﻿ Great Lakes Brewing Company - Ohio. Find It Here. 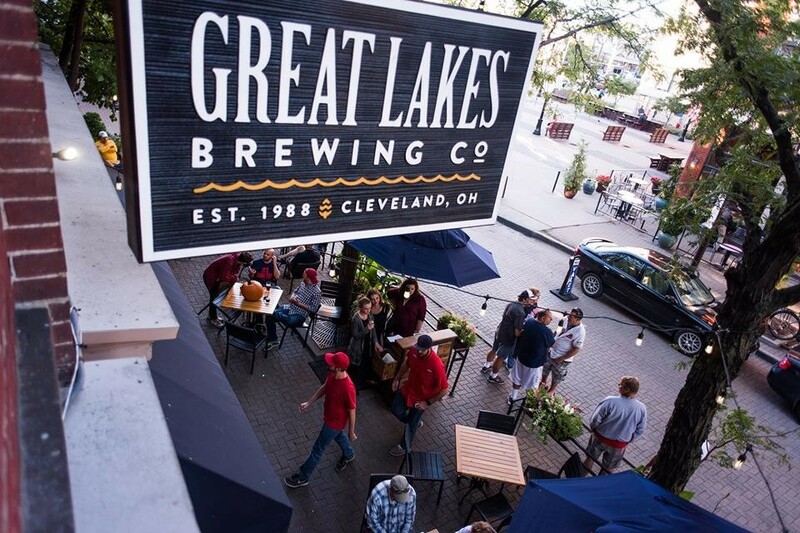 Located in Cleveland's vibrant Ohio City neighborhood, our brewpub is full of history and charm. Order a pint at our taproom's beautiful Tiger Mahogany bar, where the "untouchable" Eliot Ness once sat. Our 7-barrel brewhouse is right next door, where our pub brewer creates classic pub exclusive beers and experiments with new styles.Next door, our eco-friendly beer garden features a canvas retractable roof, a radiant-heat floor and fireplace, and a straw bale wall. In warm weather, seating spills out onto our cobblestone patio. It's a great spot to people-watch or chill in the shade with your well-behaved pooch.Our brewpub's basement beer cellar holds the brewpub's fermenters and our new small-batch barrel-aging operation. We also offer overflow seating upstairs in our Market and Rockefeller Rooms. Have a seat at the bar or a table crafted from reclaimed Cleveland wood, or at a booth under our barrel wall.